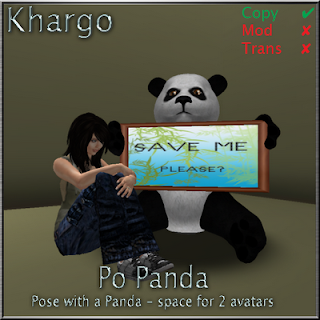 The doors are open on the Khargo: Grunge basement where you can find our *new* furniture line - and free gift. 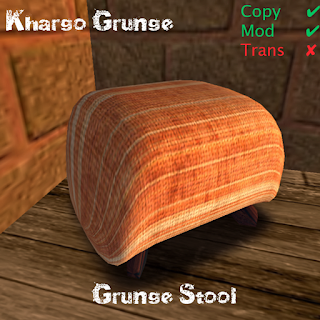 The Grunge Stool has loads of textures and sit animations so come over to Khargo: Grunge and find it soon. Full Sets are available on Xstreet and individual items can be also be bought in store. 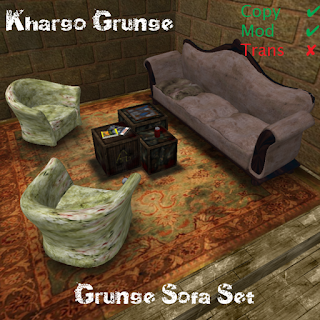 As a special opening promotion we have the Grunge Sofa Set priced at 199L$ on Xstreet instead of the full price of 335L$. 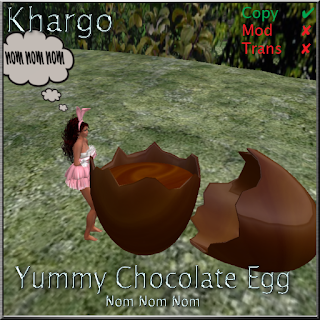 We have... um... lotsa hunts this month... Let's start with the almost over Spring Cleaning Hunt. Be fast - it finishes on the 15th! For this hunt we created a green shoots plant. Then we have the super fun Nature's Hunt - 3rd March to 3rd April. 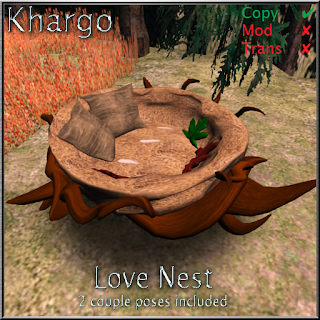 We went a bit whimsical for this and made a Love Nest with a couple of couples animations. Cute for cuddling on those Spring evenings. Later this month -from the 21st March to the 30th April - we have The Great Panda Heist.